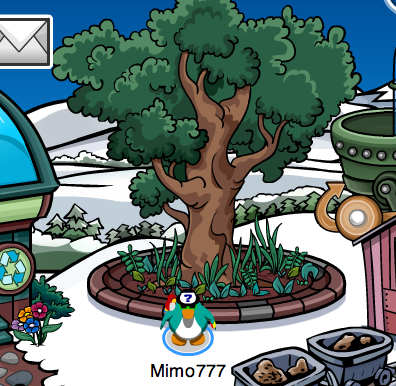 It's similar to the Rockhopper plants, it (the community tree) keeps growing. Hmmm, I think that it shall be...well let's take a gander at it! It shall be...a tree? Hope it doesn't grow again, chap! Getting to big by de looks of it! *Laugh Laugh XD* Good bye for now chaps! i hope it grows yummy food we can eat!! I can't believe the comunity tree keeps on growing! Hopefully it grows some fruit or vegtables! Yeah! Good job, but it's from the....watch out, this is a spoiler........Herbert's Revenge for Nitendo DS. If you want to see where it really came from, go get the game! Good luck and hope you get it! hey guess what i think i might have figured out what gonna happen i bet its gonna grow a free item and the free item will change every month ORRRRRR maybe its for the education stuff you probly have to solve a problem to get some broccoli or something NOOOOOOOOOO!